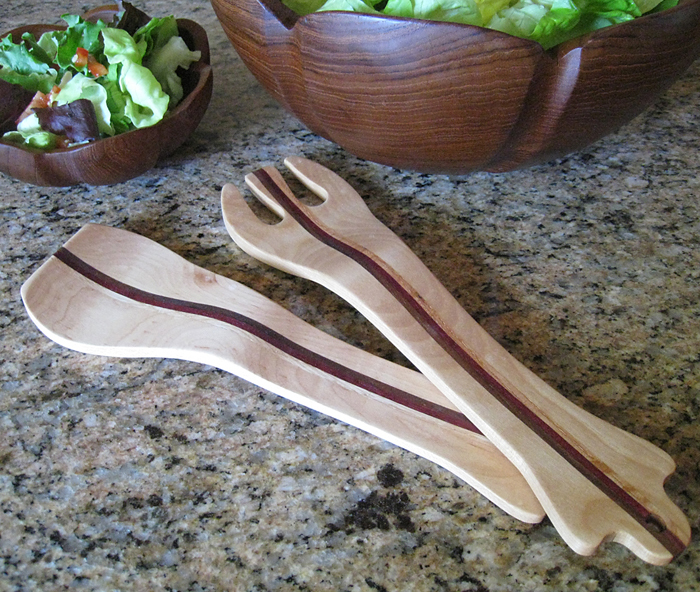 Laminated hardwoods make up this salad serving set. 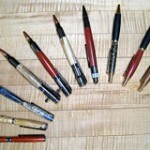 Thought I’d dust off the lathe and turn some pens for Christmas gifts. 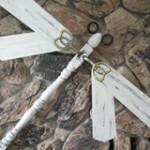 Fun dragonfly for the wall or garden.